A royal delight! 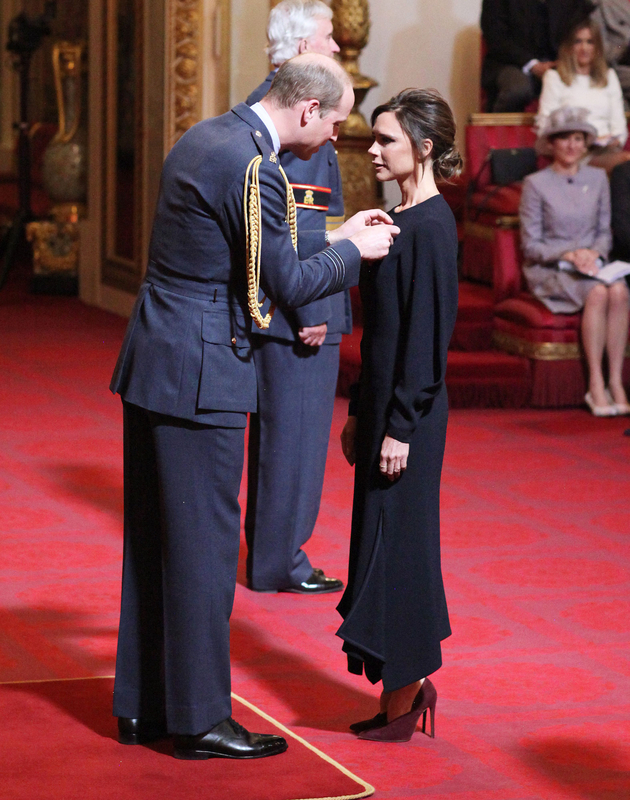 Victoria Beckham stunned — and even cracked a smile — when she received an OBE from Prince William for her services to the fashion industry in London on Wednesday, April 19. The designer, 43, was named an Officer of the Most Excellent Order of the British Empire at Buckingham Palace and was joined by her husband, David Beckham, at the ceremony. The Beckhams have rubbed shoulders with William and Duchess Kate for years. They attended the royals’ over-the-top wedding at the Westminster Abbey in April 2011.